The novel explores two interlocking narratives—Nao’s diary and the story of diary’s finder, Ruth. Nao is a sixteen-year-old girl writing in a French café somewhere in Tokyo. Due to her father’s recent unemployment after the dot-com crash, Nao and her family has relocated from California to Tokyo. During this time, Nao faces the struggles of poverty, ruthless school bullying, and a suicidal father. Unable to bear all of her loneliness and her classmates’ bullying, Nao decides that there is only one escape. However, before ending her life, Nao decides to write a biography of her late great-grandmother, a century old Buddhist nun who was once an active anarchist and feminist in her younger years. In her attempt to write this biography, Nao reveals her struggles in navigating her own existence. Not too long after the 2011 tsunami and Fukushima meltdown, a Hello Kitty lunchbox washes upon the shores of Vancouver Island. Ruth, a novelist, discovers that within this lunchbox hides several different artifacts including a diary. Upon reading the diary, Ruth is pulled into the past as she tries to solve the mystery of Nao’s unknown fate. A time being is someone who lives in time, and that means you, and me, and every one of us who is, or was, or ever will be. As for me, right now I am sitting in a French maid café in Akiba Electricity Town, listening to a sad chanson that is playing sometime in your past, which is also my present, writing this and wondering about you, somewhere in my future. And if you’re reading this, then maybe by now you’re wondering about me, too. 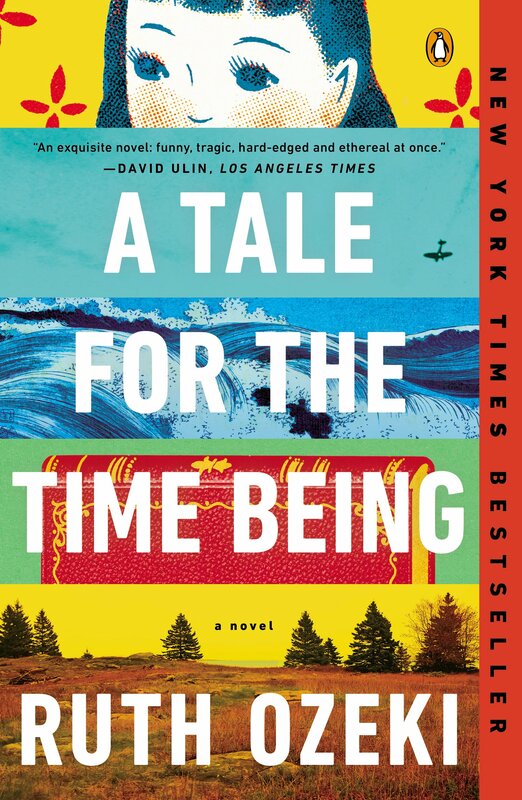 Not only does Nao create her connection with the reader with this short introduction, but she also introduces one of the novel’s most thought-provoking themes: the fluidity of time and persons in time. All of the major characters within this novel are concerned with some aspect of time. For Nao, time provides her with a connection to all beings in her otherwise emotionally solitary life. Other than Nao’s own musings on time and her existence as a time being, Ozeki masterfully blends different philosophies concerning time ranging from Schrodinger’s quantum superposition to the works of Proust and Dōgen to display the human desire to connect with one another through writing and time. This novel is for any reader who is ready to think and to potentially reread several portions of the story in order to pick up on some of Ozeki’s most subtle clues. The reader might also have to do some of his/her own research to understand multiple references to Japanese culture and complex philosophical ideas (even though Ozeki provides some footnotes and appendixes on these subjects). Even though this reading requires some work and agency on the reader’s end, Ozeki’s unique tale that travels across both seas and time is well worth the effort. “Ruth Ozeki’s A Tale For The Time Being Wins 2015 Association for Asian American Studies Award.” Newsroom. Penguin Books, 3 Feb. 2015. Web. 9 Apr. 2015. <http://www.penguin.com/newsroom/ruth-ozekis-tale-time-wins-2015-association-asian-american-studies-award/&gt;. Before attending the UMF’s production of Cripple of Inishmaan, I was rather curious as to how Billy’s monologue was going to be staged. After all, the monologue makes a rather complex scene. Upon the first time reading the script, the reader often believes that perhaps Billy is nearing the end of his life, but after reaching the big reveal, the reader realizes this scene merely depicts Billy practicing some lines for a screen-test. In a way, this monologue pokes fun a melodrama as Billy himself comments on the absurdity of having to sing “Croppy Boy” for the scene. Knowing the script inside and out, the director then has to make the difficult decision of either having the scene be completely serious, or perhaps hint to the audience that what is happening may not be what it appears to be. The UMF production went with the serious interpretation of the scene, which proved to be quite moving and powerful. This was one of two scenes where the audience did not applaud at the end. The audience was too moved to clap after such a serious and upsetting scene. Deciding to make Billy’s monologue appear authentic and not just reciting a script made Billy’s return much more exciting for the unsuspecting audience members. Several gasps of genuine surprise were to be heard when Billy was revealed behind the projection screen. The production’s actual set design of the monologue was also very interesting and powerful. The actor who portrayed Billy performed the monologue in a small space just above the actual stage. The physical separation of this space from the rest of the set shows Billy’s own distance from his home. The decor was much more scarce than in the script. There was really only a chair and a table compared to a whole hotel room’s worth of furniture. This small amount of furniture added a sort of starkness to the scene. The focus falls on Billy’s words and actions without the audience being overwhelmed by a whole new set of furniture and props. Even though the monologue was very serious and powerful, there is one element in the set design that evokes the sense that not everything is as it seems. This element is how the small space has a sort of screen or glass wall. This glass wall, while meant for the safety of the actor, creates a separation between Billy and the audience. This separation, as well as the upward angle of the space, seems to mimic the sense of watching a film in a movie theatre. Even though this is very subtle, an audience member who may have some experience with the play might recognize from this staging that this monologue is not quite as it seems for a first time viewer.